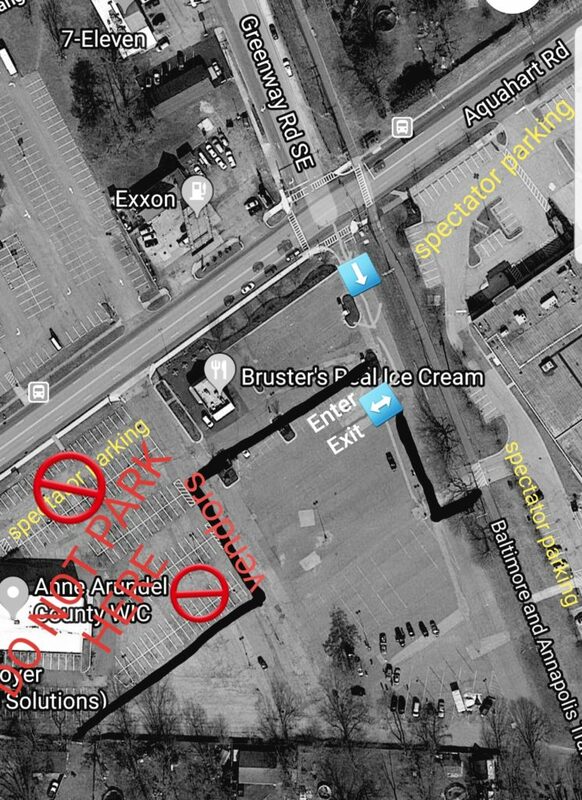 Please see map SPECTATOR PARKING IS BEHIND THE MALL OR IN THE OLD BILL BATEMANS LOT ONLY!! DO NOT PARK ON THE LOT ADJACENT TO OURS!!! !